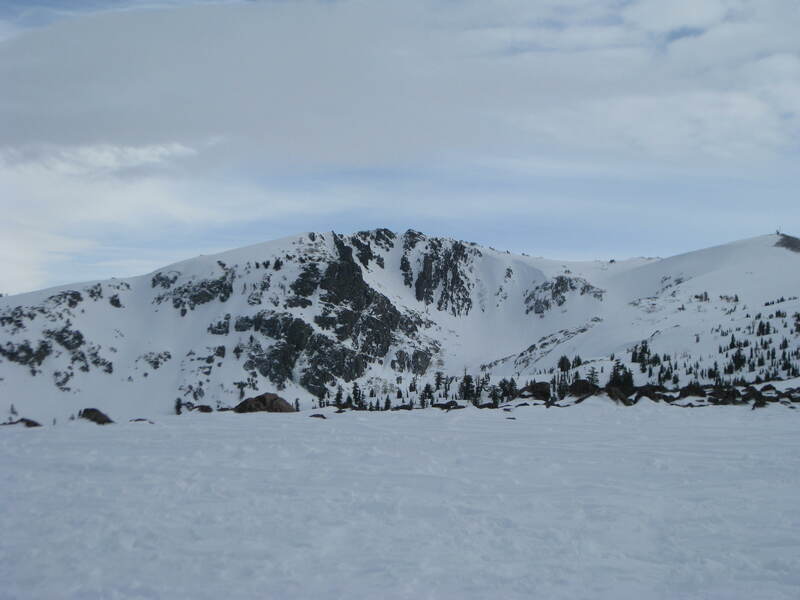 Kirkwood Sidecountry | Meghan Kelly Teles! 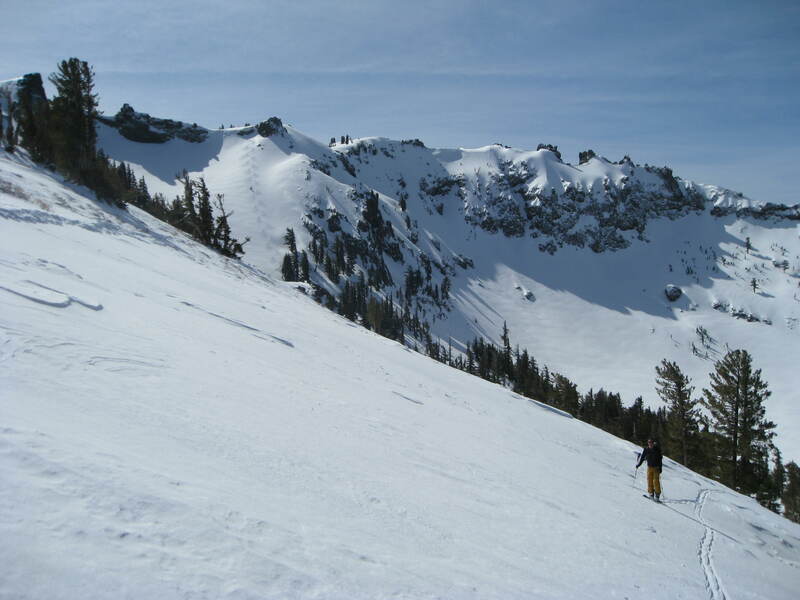 Saturday was a glorious bluebird day in the Sierra and so we wanted to get out and ski some BC. I was interested in skiing some of the lift-assisted “sidecountry” at Kirkwood and I was pumped that my friend Brian was also game to check it out. After a few runs to warm up the legs, we headed out to Thunder Bowl. Brian with Thunder Bowl in the background. Only a few sets of tracks! The snow was so good in Thunder Bowl that we almost went back, but we opted for a run out in Emigrant Basin instead since Brian had never skied it. California chutes is a Kirkwood classic sidecountry run and since the snow was feeling good on most aspects, it seemed like a great time to hit it. The snow was a little more variable than Thunder Bowl and there were a lot more people out there but it was still super fun! Probably the best snow I’ve skied that thing in! I was nerding it up with my GoPro and backpack on the lift but I got some great footage. How do you get out of thunder bowl and get back to the resort? Bring your skins and then skin back up to the ridge above palisades!